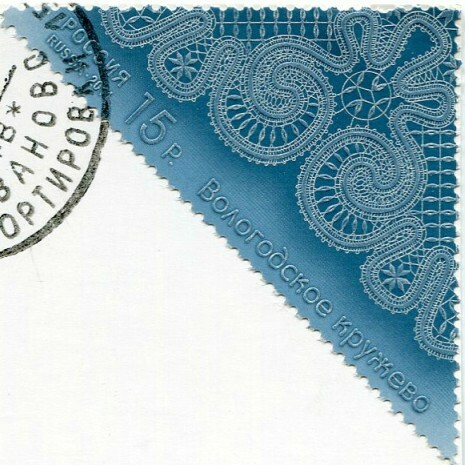 Decorative and Applied Arts of Russia. Because the delicate lace is so beautifully detailed, here are the full views of each sheet, courtesy of wikimedia with the region the lace comes from. You can click on each image for a larger view. 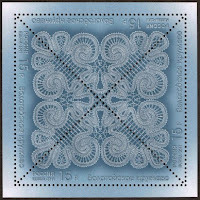 Bobbin lace is a method of making lace by braiding or weaving threads held on bobbins around carefully placed pins on top of a pattern to form holes. There are two basic movements: the cross and the twist. 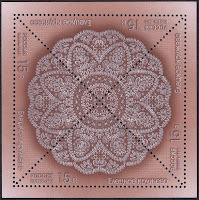 Different combinations of these two stitches and the placement of the pins create different delicate designs in the lace. 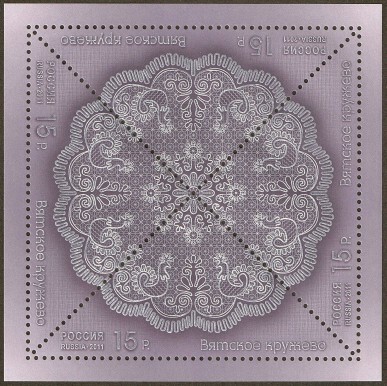 The triangular stamps are stunning, and a clever way to showcase the lace. 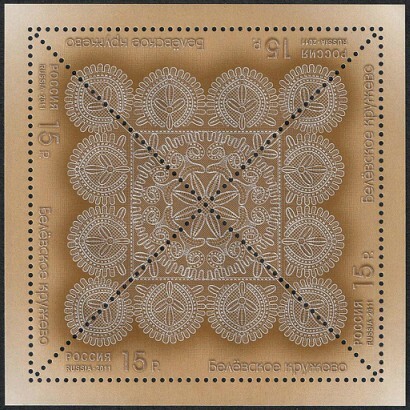 ..I believe that I've never seen lace stamps before. Original stamps, and original theme for L! I remember using wooden cotton bobbins with pins to create different patterns on long wool streamers. Much cruder than delicate lace; lovely stamps. 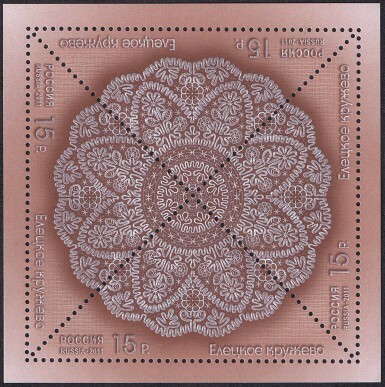 Beautiful stamps, celebrating this fine craftsmanship. I used to see 'old ladies' (as I called them when I was an ignorant child) doing what they called tatting. 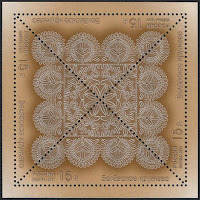 They used some kind of wooden bobbin ... but the lace was not nearly as delicate. Those are amazing - wonderful stories. I find that in many areas the Russian crafters are quite more advanced than in some other countries.